Volunteers in animal rescue will tell you that nothing is more tragic than seeing a glimmer of hope in a sheltered animal’s eyes, only to have that glimpse snuffed out repeatedly after each rejection. Imagine sitting in a cage and having people come up to you, talk to you, stick their fingers through the slats, even ask to hold you…only to say “no.” Back in the cage you go. For a variety of reasons, this rejection is all too commonplace in the lives of sheltered pets. Age, size, breed, color, and even attitude can all play a role in an animal’s chances at adoption, and can often influence whether or not the pet is returned to the shelter in the event of uncontrollable circumstances. But for far too many animals, the only thing standing between them and a forever home filled with love and companionship is a lack of human patience, or even their unconscious prejudices. In fact, many potential and future adopters simply can’t or don’t want to “put in the work” that shelter pets may need to readjust to life on the outside.. The reason most long-term shelter animals are long-term is because they are stuck in a vicious cycle: they are too old, not fluffy enough, not the right color, not a kitten, not a puppy, so they don’t get adopted, which leaves the next potential owner thinking there’s something wrong… and it doesn’t get adopted. But here at KirinGie.Me, we believe that every animal deserves a loving home, even those considered “less adoptable” by many standards. If Animal Planet’s hit show Too Cute! and the thousands of viral videos on YouTube are any indication, for the vast majority of people, there is nothing more adorable than kittens and puppies. Unfortunately, it is precisely because of this “cute factor” that so many adopters favor young pets. But all too often, this preference means that adult and senior pets remain in shelters either permanently, or until they have to be put down. Adult pets are ideal for first-time pet owners. Puppies and kittens in particular require a great deal of energy, attention, and exercise as they explore the world around them and get into things that they shouldn’t. Dealing with chewed-up shoes, puppy pads, tiny kitten hiding spots, and exorbitant amounts of energy can be overwhelming for new pet parents, but an adult can be trusted on their own with only basic training. There are fewer surprises with an adult pet. Since the majority of older pets have been homed before, the average shelter will come armed with clues from past owners or their observations as to its temperament and what kind of household the animal will be a best fit for. Whether your new dog does or doesn’t get along with other cats, or whether your new feline is a hunter or lap-cat — you’ll have an idea of what to expect from your new companion. Adult pets will love you wholeheartedly, just as much as a puppy or kitten. Many people have the mistaken impression that an adult, rehomed pet will never truly be “theirs,” when in fact animals are remarkably resilient. Given proper love, attention, and patience, very few animals will have difficulty adjusting to a new home or new owners. Rather, rescued animals tend to bond even more quickly out of unspoken gratitude for being adopted. Older animals have enough going against them, but many dogs in particular face unprecedented prejudice before they ever even stand a chance at adoption. 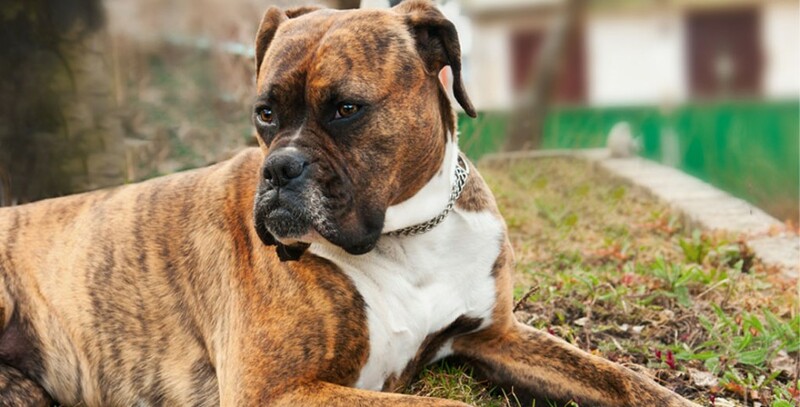 This is due to the tragic stigma associated with many dog breeds. Considered a “bully breed,” 58% of Pit Bulls that enter US shelters are euthanized according to a 2009 survey. This tragic statistic has caused many shelters to fear giving any pooch the label “Pit Bull Mix” as those few words can add months to a pup’s shelter time and drastically reduce their chances at adoption. Misunderstood breeds like the Pit Bull are victims of humanization; they are not inherently aggressive, but are rather products of previous owners and circumstances. In fact, Pit Bulls and many other kill-listed breeds, such as Rottweilers and Dobermans, are actually some of the most affectionate dogs out there. If you need proof, look at the pit bulls rescued from Michael Vick’s dog fighting ring or watch an episode of Pit Bulls and Parolees on Animal Planet to see the amazing work Villalobos Rescue Center does every day to save at least one of the millions of pit bulls euthanized annually in the United States. Yet, many choose to overlook the numerous dogs needing homes because they aren’t the right “breed” in reverse ways as well. Shelters will oftentimes label an unknown cross as a “Golden Mix” just to increase their odds at adoption simply because so many potential adopters favor Retriever and Labrador crosses. Rather than stigmatize pets due to blood, it’s important to remember that every pet needs and deserves a safe, welcoming environment to reach their full potential. Even animals considered “less adoptable” can make the perfect pet for the right person, and there are dozens of organizations dedicated to changing the stereotypes associated with many breeds like the Pit Bull. Just to prove it, here are 10 Reasons Why Pit Bulls Rule. The same tragic circumstances hold true with socialization and behavior in determining which pets are “less adoptable” and which ones are ready to adopt. Many of these shelter cats and dogs are not very social because they have been programmed to fear from the start, whether from abuse, neglect, or negative interactions with children, among other reasons. What’s even more unfortunate is these cats can become “lap cats,” and these dogs can learn to run, play, and cover your face with slobbery kisses if only they are given a chance, but in overcrowded shelters, are often euthanized before they can learn better socialization skills. The only thing keeping an unsocialized animal from finally finding love and companionship in their lives is a human’s patience, but many don’t want to “put in the work” to socialize a shelter pet. Cats are oftentimes much harder to socialize than dogs are, but even a cat previously owned can become distrustful when abandoned. According to the ASPCA, 1.4 million previously homed, stray, and feral cats are euthanized each year — often due to overcrowding — and many times those who are chosen to be put down are selected according to how long they have been at the shelter, of which friendliness can play a major role. Since kitties are wary of strangers by nature — hence the term “scaredy-cat” — this can leave many felines with little to no chance at finding a forever home. So while many shelters put forth their best effort to socialize skittish animals, they often lack the resources and volunteers to work with them long term. Yes, an abandoned or feral cat, or an abused or unsocialized dog, can be overly timid or rambunctious at first, but over time as the animal regains trust or learns its role, it adapts a more stable and devoted personality. All it takes it love, respect, and patience from the pet’s adopted person. For some pets, health conditions can completely eliminate their chances at adoption. This can range from a simple genetic defect — such as Tuna the Dog’s overbite — or as severe as cancer, deafness, or other special conditions. Over one-quarter of all animals euthanized in shelters have disabilities of some kind, but being different shouldn’t mean being labeled less or unadoptable. With proper vet care and some basic home safety precautions, caring for a specially-abled pet of any kind is incredibly rewarding, and well worth the extra effort when it means saving a life. Nothing compares to the love and appreciation of an animal that knows it has been saved. Those who have rescued animals from shelters all agree that cats and dogs normally passed by on the adoption circuit were the best pets they ever had, and he ones that are left behind are generally the ones best suited to come into any home.The ones that are left behind are the ones that most want to be adopted. They might be shy at first; they might need extra training, but ultimately they’re just looking for the same thing you are: A loving, rewarding, and respectful relationship. It just takes a little patience. At KirinGie.Me, we aim to create a supportive community of pet owners where you can share your pets and their stories with other animal lovers. We’re striving to create a common place where pet parents can ensure every companion is kept in a safe and loving home, even those labeled “less adoptable.” Our online community not only works together to help pet owners adopt and foster animals in need of relocation and issue alerts for missing pets, it also acts as a safe place to keep your pet’s most important information, records, and media. September 20-26 is Adopt a Less Adoptable Pet Week, a much-needed week for tens of thousands of homeless, loving animals. Won’t you say yes to an animal in need?